EQUU8 (pronounced equate) is a nonprofit 501(c)(3) therapeutic riding program that is grateful to offer therapeutic riding lessons at Bear Valley Farms as of July 2017. Our instructors are trained and certified by PATH International, specializing in developing therapeutic programs to address the special needs of each individual (with or without disabilities). 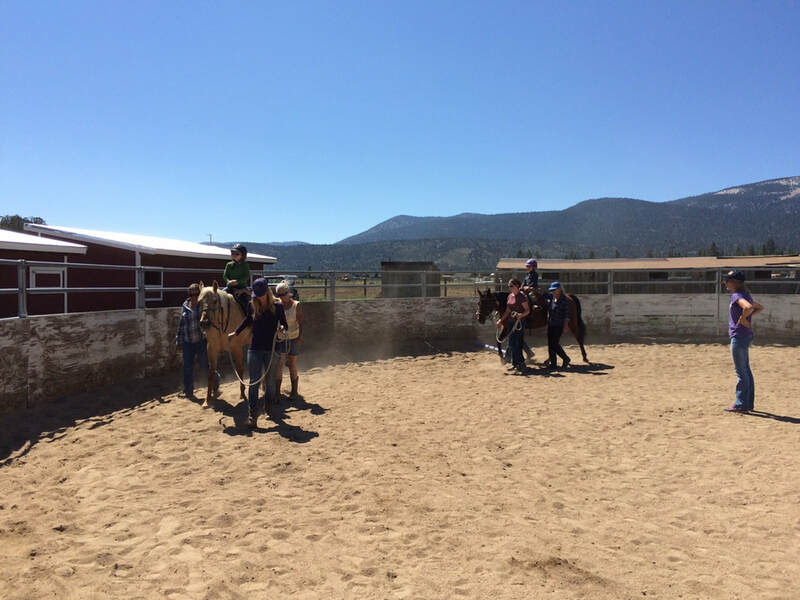 22% of our students are on the autism spectrum, but we also serve riders with physical, emotional, and behavioral disorders, as well as a military program for active duty military from Fort Irwin. Our wheelchair accessible mounting ramp was acquired through private donations within the community. What is therapeutic riding? Horses can improve the lives of individuals with physical disabilities by improving balance, muscle tone, posture, and strength. Cognitive, behavioral, and learning disabilities can benefit from equine-assisted activities by improving self-esteem, relationship building, socialization, and educational applications. Qualifying cognitive and physical special needs include ADHD, autism, speech and language impairments, hearing and visual impairments, cerebral palsy, Down Syndrome, spina bifida, developmental delays, PTSD and other types of trauma, and more. 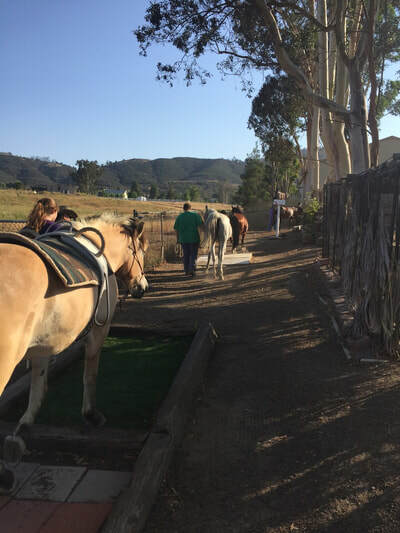 Therapeutic riding is not limited to lessons supported by horse leaders and sidewalkers for riders. 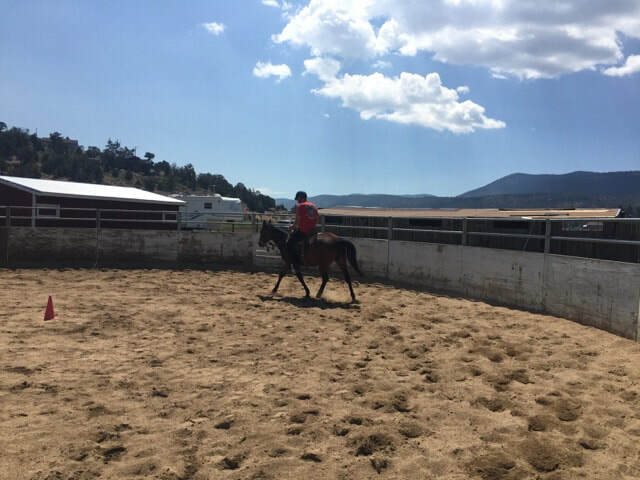 EQUU8 has seen riders become independent of their support volunteers and discover the same freedom that "able bodied" riders love so much about equestrian activities. A medical release is required. Therapeutic riding sessions are 9 weeks. Volunteer opportunities are available and are a fulfilling way to give back to the community and those less fortunate. Smokey was one of EQUU8's first therapy horses, and has been providing lessons to children and adults of all levels of ability since April of 2014. ​She is a bay quarter horse with a brisk trot and canter. She makes a beautiful English hunt seat horse, but is also a fun western trail horse who does great over obstacles. Malibu has been giving lessons since November of 2015. She's a palomino "barbie dream horse" with a dainty build and easy-to-ride gaits. Malibu loves trail rides, obstacles, and likes to check new things out for herself.